Gfest: Darren Aronofsky to Direct Garth Ennis' PREACHER? 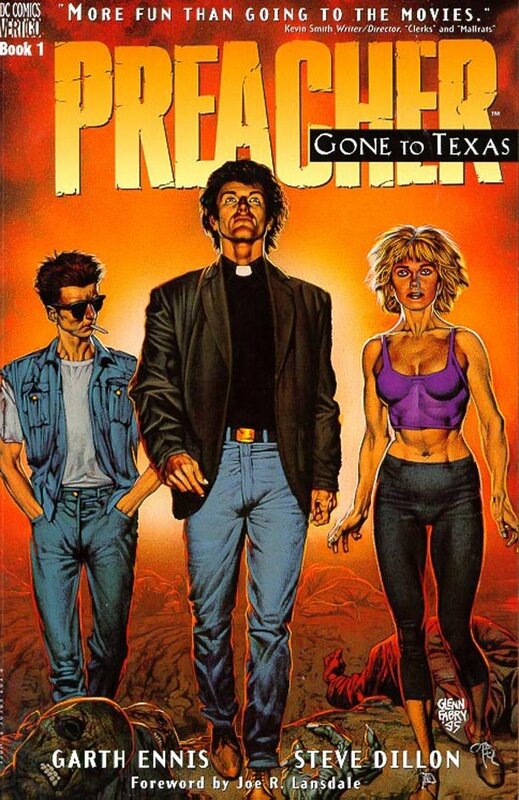 Darren Aronofsky to Direct Garth Ennis' PREACHER? Darren Aronofsky is busy but very lucky man. It was reported yesterday that he is rumored to be in the hunt to direct the Superman reboot, now Newsarama is reporting that Darren Aronofsky may also be interested in directing Preacher and that it's likely he'll have to choose one project over the other, as both are slated to move into development soon. Preacher, based on the Vertigo series by Garth Ennis and Steve Dillon that ran in the late '90's, tells the story of Texas reverend Jesse Custer who, after merging with the escaped offspring of a demon and an angel, find himself imbued with the word of God, the power to command anyone to do his bidding. Teamed with his ex girlfriend, Tulip O'Hare and an Irish vampire named Cassidy, Custer sets out across America to track down the almighty and force him to explain why he abandoned creation. Preacher has been rumored for development almost as far back as the series' debut in 1995, but was most recently in development with Sam Mendes directing and a script in the works from John August. It is uncertain whether or not Aronofsky, if he took the project, would work from the same draft. This is a tough call for me. I think Aronofsky would do a great job as the director on the Superman reboot, but I am a huge fan of Ennis' Preacher and would love to see the story move forward as movie(s). If I was God, I would choose Aronofsky to direct the Preacher. It's a a unique story that needs someone with his film background (pi, Requiem for a Dream, Wrestler and The Fountain) to direct and shepherd through the process. What do you think?